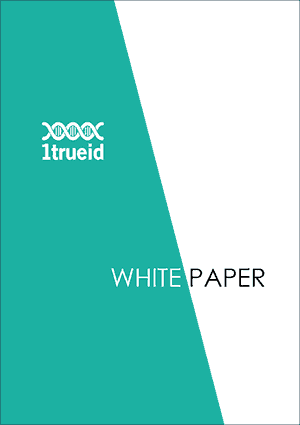 1trueid enables the most cost effective and secure digital identity to every object; cost free for individuals, this is how the “Social Network of Things” comes to life. 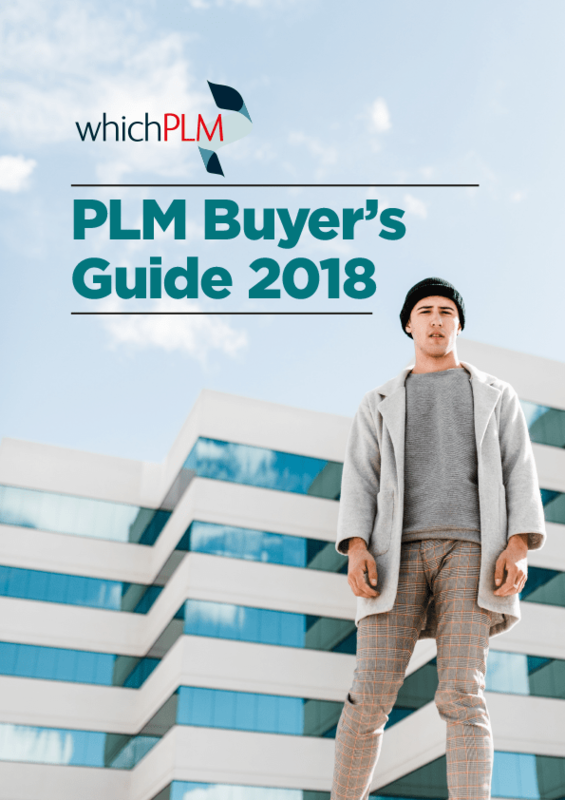 When you’re talking about sharing and communicating intelligence, you need to be able to rely on a single source of information for all those taking a part in the design and manufacturing process: retailers, brands, mills, trims & component, packaging, manufactures suppliers and consumers. The vision for blockchain in fashion is that for any product passing through our channels, we can know, without doubt, who its owner is, and that the product itself is authentic. To put that into context, the international trade in counterfeit goods is currently worth around $460 billion, which is $100 billion more than drug trafficking. So, using blockchain to secure the authenticity of products solves two problems: we save the RFA sector huge amounts of money that’s currently lost to fake products, and we realize a new and unique connection between brand and consumer that was not possible until now. 1trueid starts from the will of enhancing high-value products, which better represent the Made in. The aim was to bring out products’ quality and authenticity, mainly of fashion and luxury industries, highlighting the supply chain, its phases and its players. 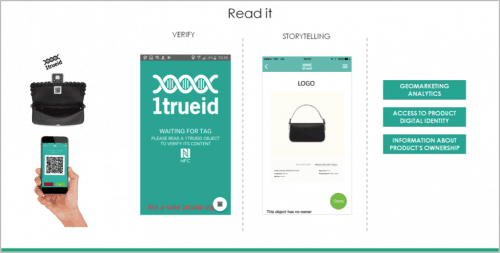 1trueid is a patented applied for technology, which can create and allocate a PDI (Product Digital Identity) to the items. 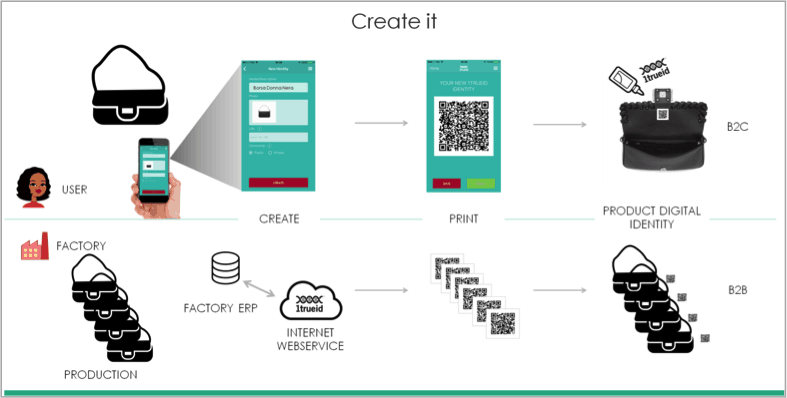 This technology is available for the producers (makers) in cloud directly in office and, for end-users (users) through an app for smartphones. 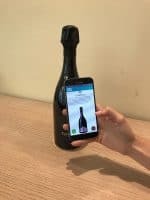 With a smartphone the user can recognize the PDI of an item as a check (anti counterfeiting, traceability and storytelling) and possibly to acquire product’s ownership. 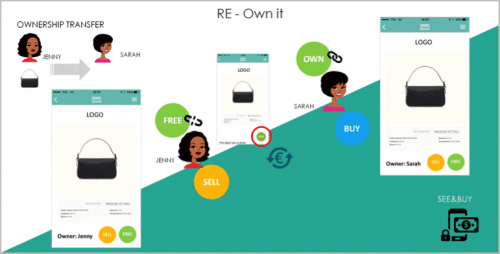 Thanks to 1trueid, the owner of an item could easily manage its lifecycle (e.g. warranty, assistance), share its different status of use, up to an easy management of its sell or transfer (second life). 1trueid is the first social IoT and most cost effective blockchain platform, linking customers (users), products and manufacturers (makers). The information managed by the system can be seen as segments of a distributed database – the same substantive paradigm of Blockchain. Now, the 1trueid idea is to take these individual segments, and load them in a Product Digital Identity, (Digital DNA), embedded into the object. Such information is encrypted, so it can only be read or written by persons in possession of the key. 1trueid is a distributed and secure standard and platform (a social Internet of Things) capable to verify single items’ identity. It is based on a patented technology which guarantees the product’s authenticity through different common tools (i.e. RAIN RFId, NFC, BTLE, PJM) from smartphones and best available Wi-Fi devices. For each item, 1trueid creates encrypted keys with SSL 128 bit consequently used in every transaction. Thanks to this Digital DNA on any object – a jewel, a shirt, a bottle of wine, a document or even an image – users can decipher the content and access to basic information related to item itself, even without an Internet connection, because part of the information is on board. 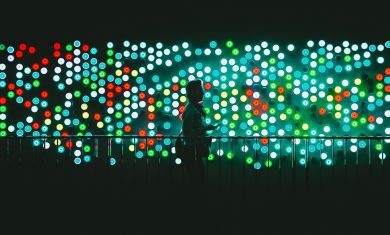 From the maker point of view, storage on cloud allows to collect information of every transaction for a better business intelligence or marketing analysis. An app or a Web Service, through a smartphone, reads the content of the tag, decrypts the information and shows data about the item’s authenticity. The first feature realized, is CREATE IT, which is also the most important. 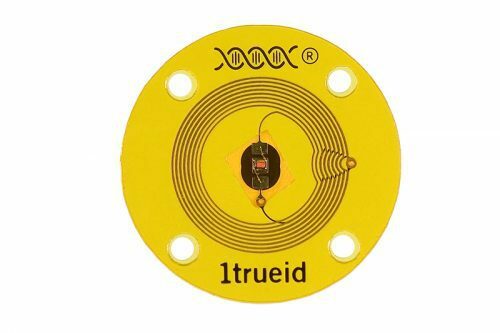 It creates the 1trueid code which will identify a defined item for the rest of its life, and it allows the management of the product’s data along the whole supply chain. User: it uses 1trueid app to classify its product, with a picture of the object, inserting a description and asking the system to create a 1trueid code and related QR Code. User will print and apply the QR Code to the item. The physical interaction item-user occurs thanks to the READ IT feature. This operation starts when the app, through NFC reader or camera, reads a 1trueid code. First, reading the code the system decrypts it through the key and shows product’s data (storytelling). User: the storytelling is aimed to marketing, brand awareness or customer experience. Both maker and user activities collect data when READ IT is processed. The key feature of the project, under copywright, is OWN IT. It applies the unique association item-user, creating the idea of precise property and increasing the creation of the Internet Book of Things made of unique items and their owners. User: property declaration and control in case of theft, loss etc. Thanks to OWN IT, more features are available in order to manage an item’s lifecycle. 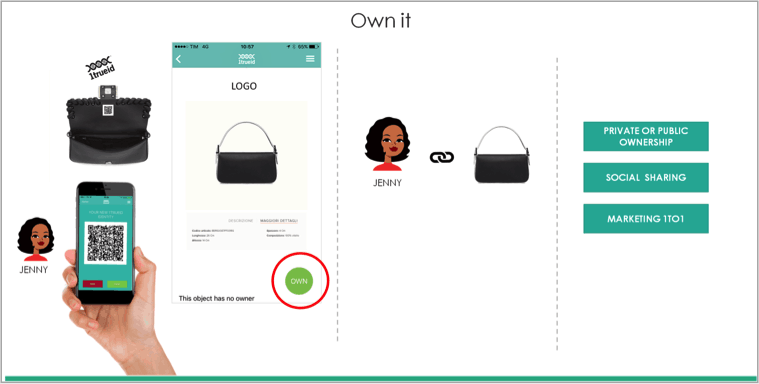 In fact, the owner can release the ownership of a product so that another user can declare a new ownership. User: possibility to manage goods exchange, possibly with currency transfer as in case of privately sales. To find out more, view/download our full white paper.